* Warning: this article contains graphic imagery of the deceased. Everyone has gathered, the preparation complete. 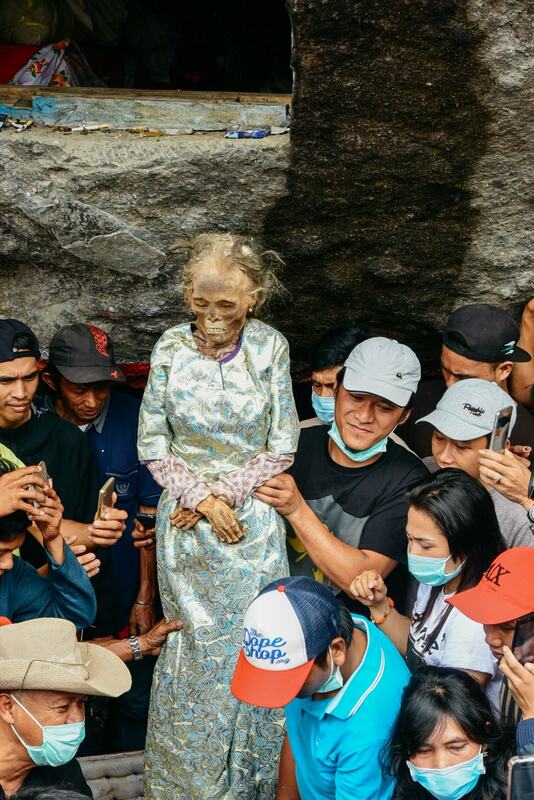 It’s been thirty years since this Toraja woman, whose name wasn’t disclosed during the procession, passed away. But today, it’s as if she’s alive and well — cleaned, groomed, and clothed in a new dress. 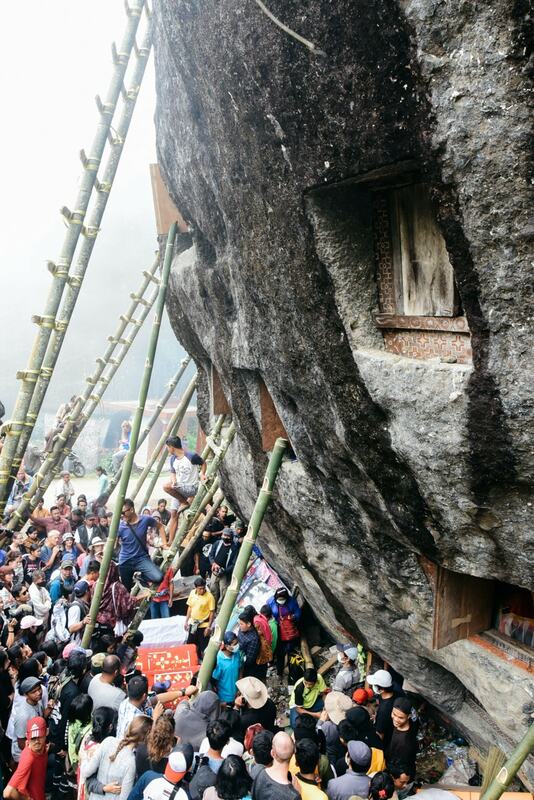 At a cave burial site in Lo’ko Mata Toraja, Indonesia, swarmed by family and curious tourists, the notorious Ma’nene ritual is culminating. It’s the fifth and final day of Ma’nene, a traditional procession that has captivated many tourists from all over the world, intrigued to see the dead come back to life. The gleaming tropical sunshine doesn’t do much to dispel the eerie atmosphere that encircles the burial site, intensified by a thin mist that welcomes anyone who is daring enough to show up for the important ceremony. The tomb holes on the big rock’s walls are still open. 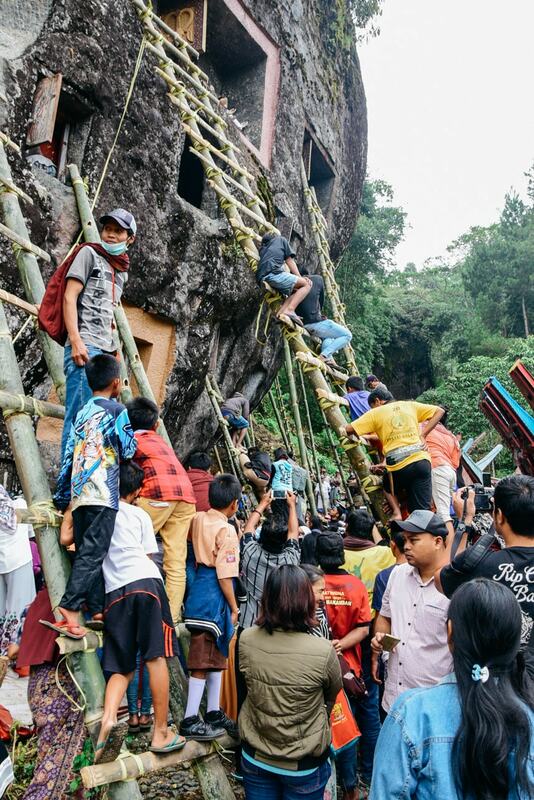 Ladders are leaned against the rock to help villagers slide coffins out from the slot in the cave that looks more like a mortuary than a final resting place, because it’s not final at all. 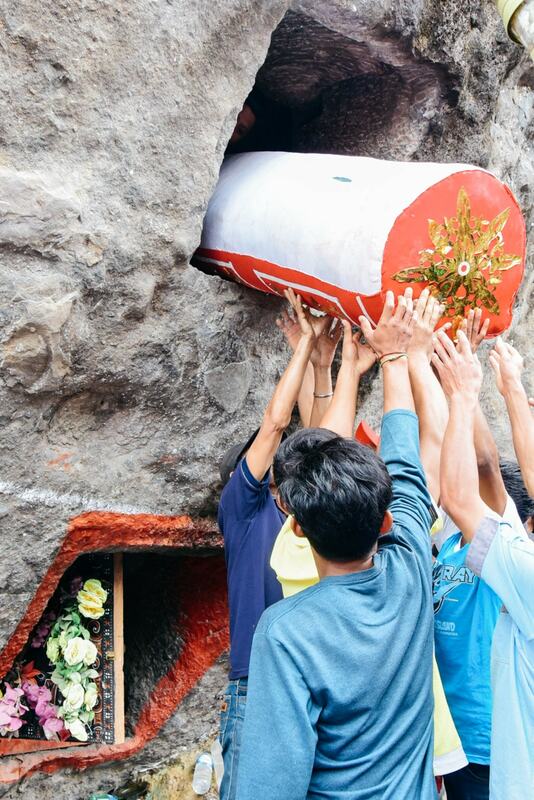 Everyone knows that when a body is laid inside the rock tomb, it will be taken out time and time again. Inside the tombs are bodies as old as a century and more. The ritual proceeds only after a special prayer is given by the spiritual elder, asking for permission and blessings from the ancestors. 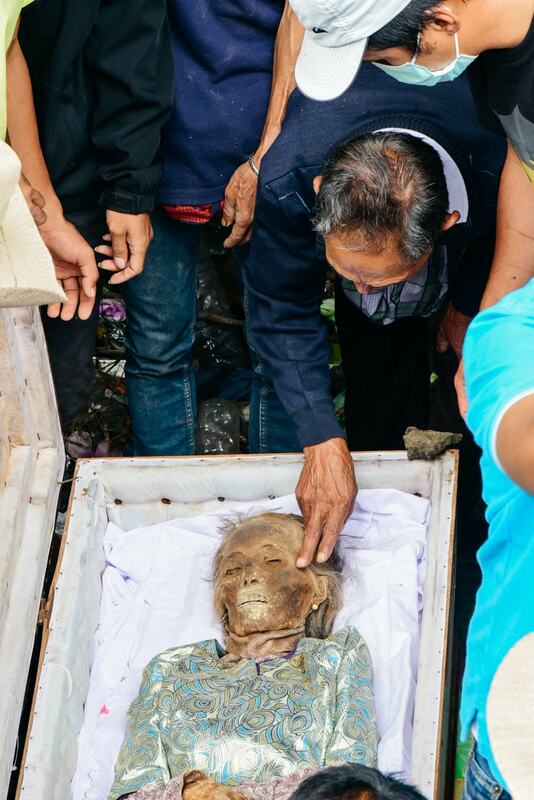 Family members gather around the coffin, some talking and communicating with the body like a long-lost friend. 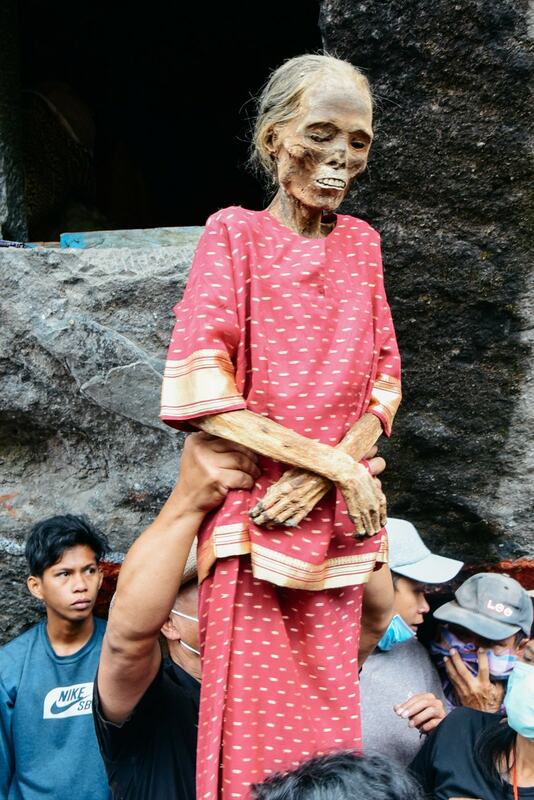 A woman’s figure emerged from inside the coffin, held up by her relatives. Her body retains almost a perfect form, with white hair and skin intact, despite being buried thirty years ago. The body is then cleaned, groomed, and changed into new clothes. After the process is complete, she looks a lot fresher and almost lifelike. 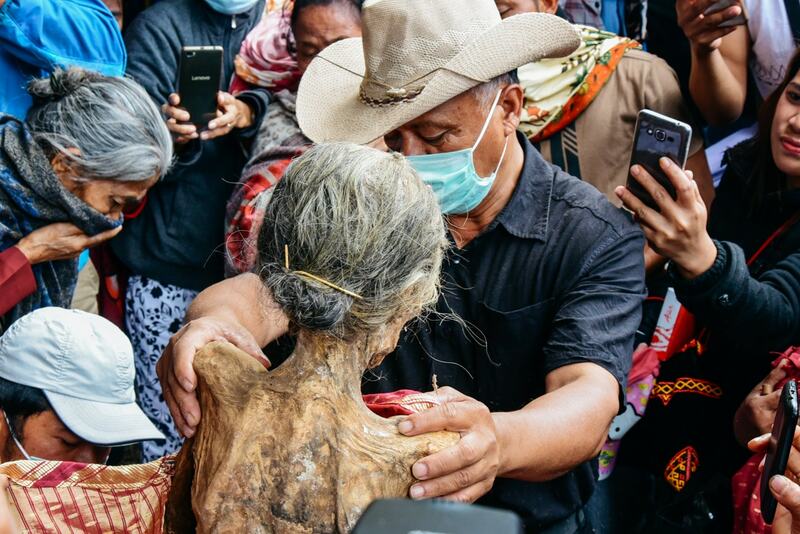 At a glance, one could mistake the cadaver as a living, albeit scrawny and (a little creepy) granny. This concludes her tenth Ma’nene, or the tenth time she’s been taken out of the coffin and groomed. Since she passed away thirty years ago, her family members have never missed a single procession of Ma’nene, usually held once every three years after harvest time, or according to instructions from the spiritual elders. For outsiders, digging up graves and grooming the cadaver that may have been dead for decades might seem like madness. 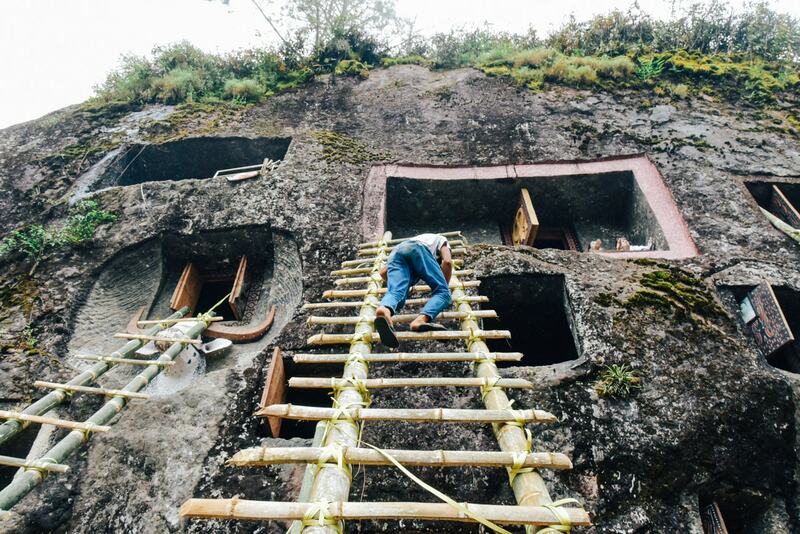 But for the Toraja culture, the practice is necessary to honor their ancestors. To fathom the peculiar rites of the Toraja culture, one must first understand the community’s loyalty and reverence for their ancestors. 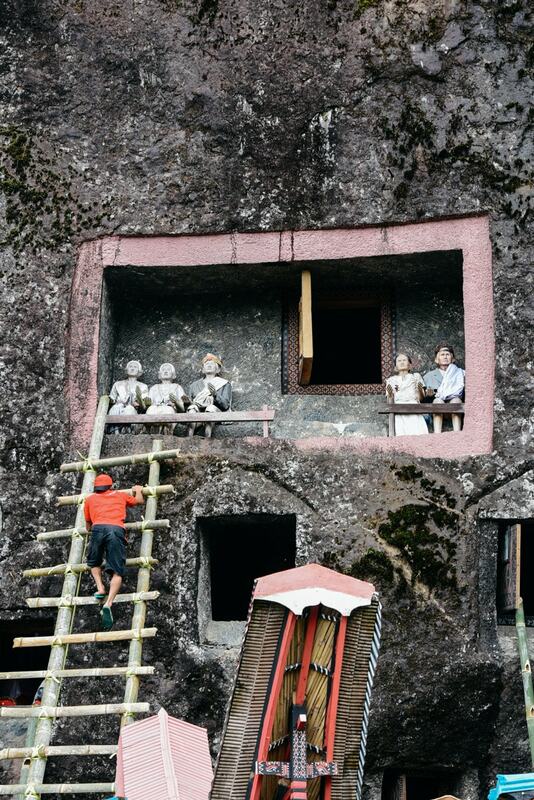 A huge element of Toraja’s traditions is drawn from that sentiment. 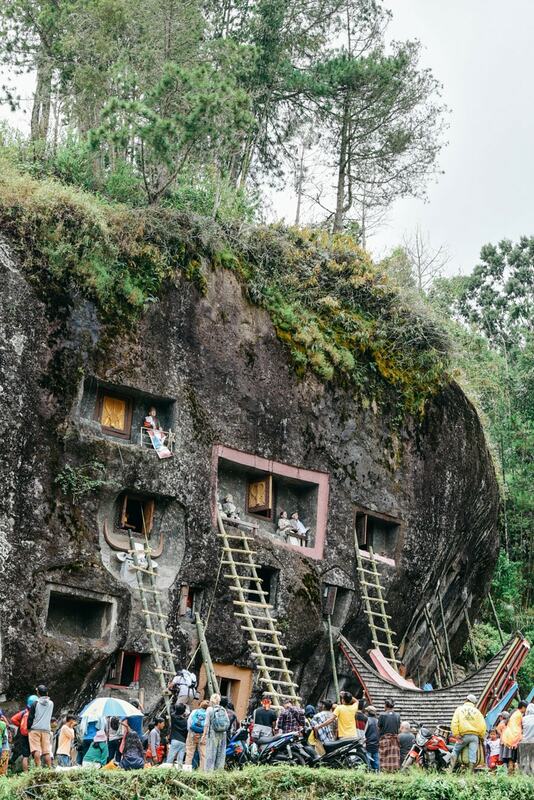 The traditional Tongkonan house, for example, was built with a boat-shaped roof to remember the ancestors who first reach the land after wading the great sea with traditional boats. Ma’nene is also considered as a ritual to strengthen the bonds between the living and the dead. Believing that the ancestors can bestow blessings and protection, it’s only natural that the living go to great effort in preserving and keeping the ancestors’ bodies sharp-looking and maintaining the deceased as a part of their lives. The act of grooming deceased bodies to earn favor from the ancestors is not random. 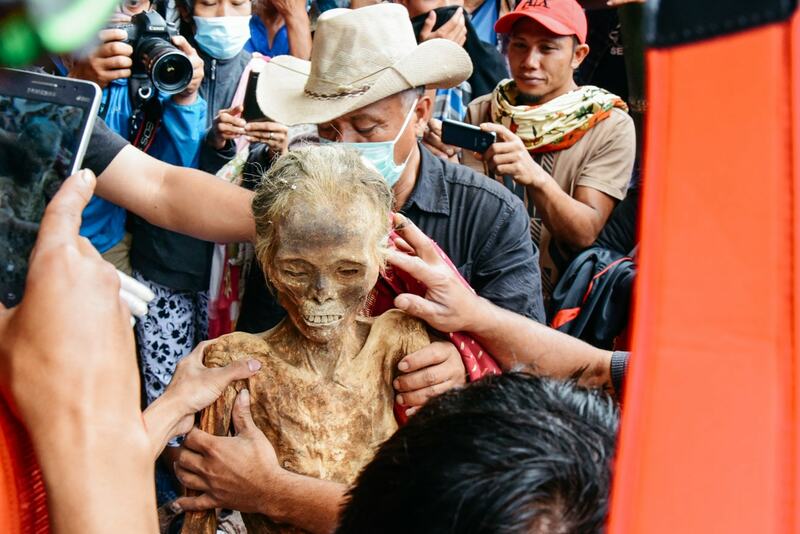 There’s a legend of a hunter named Pong Rumasek, who found a cadaver deep in the jungle. He cleaned and groomed the body, even covered it with his own clothes, before laying it down in a proper place. Since then, Pong Rumasek was blessed abundantly — his harvest overflowed, and he caught more food than he could ever wish for. 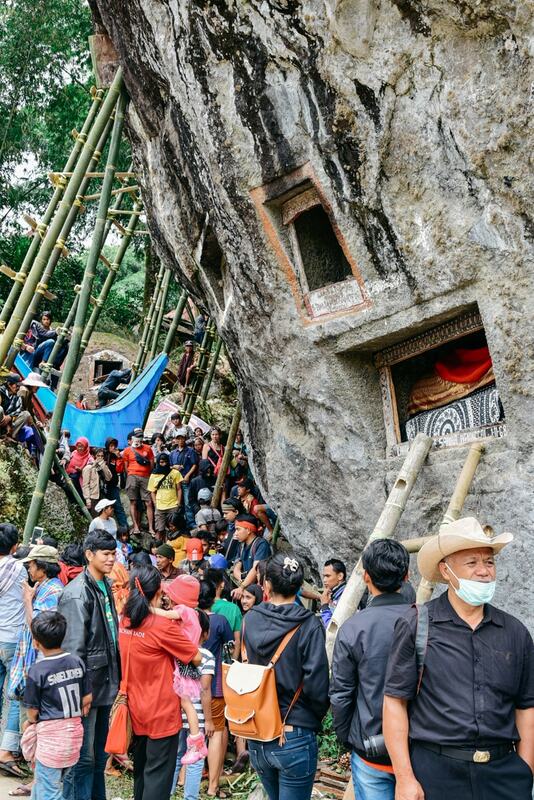 The people of Toraja took great significance from the story. Some Torajans also see this ritual as a means to gather with relatives and tighten the bonds of brotherhood within extended families. To complete this ritual, family members — even those who live out of town — take time out of their lives, collect money, and take care of necessary preparations together. Ma’nene is concluded with a feast for the living, a big meal prepared by the descendants of the deceased.